Florence Macbeth will make an “appearance” along with Maud and Delos Lovelace, Frances “Bick” Kenney, and Marjorie “Midge” Gerlach in the upcoming “A North Woods Nutcracker” ballet in Mankato on Sunday, November 24th. Florence and Maud were contemporaries who grew up in the small town of Mankato. Both left to follow their dreams and both carried such fond childhood memories of their hometown that their request was to be buried in Glenwood Cemetery in Mankato. Born in Mankato on January 21, 1891, she was the only child of Charles and Alice (Monfort) Macbeth; they lived at 326 South Broad Street. Her father was a partner in a meat market business on North Fourth Street. Florence, or Flossie as she was called by her friends, attended the Union School on North Broad Street. At the age of three, she heard her first light opera, “The Fencing Master,” with Marie Tempest. From that day on she dreamed of being on stage. Her first music teacher was Mrs. Nettie Snyder. In a 1914 interview, Mrs. Snyder recalled, “I’ll never forget the first time I saw Flossie. Her father came to me, leading a little girl, and said: “Mrs. Snyder, here’s a little girl we think can sing. Won’t you listen to her?” “She had on a little plaid kilted skirt that came to her knees, for she was only 11 years old then. She sang, and she sang high F, I might add, as perfectly then as she sings it now.” Mrs. Nettie Snyder was a composite for the character of Mrs. Poppy in the Betsy-Tacy books. 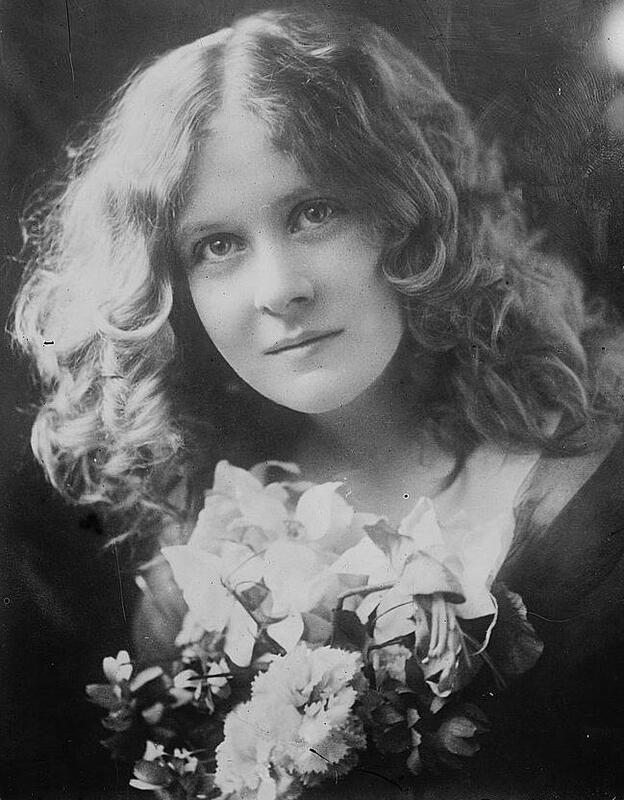 Florence attended St. Mary’s Hall, a girls’ school in Faribault, from the age of thirteen until her graduation in 1909. She was planning to attend Wellesley College in Wellesley, Massachusetts before beginning her musical career. However, her plans changed when on a college visit in Wellesley, vocal coach Yeatman Griffith heard her sing and said “Let me have this voice—now!” Florence and her parents agreed and she went to Pittsburgh to study. After two years of study, Mr. Griffith took her to Italy to study the language and customs of the country. She made her professional debut at The Hague in Holland in July 1912, with the Lamoreaux Orchestra of Paris. The young coloratura soprano thrilled the audience with her rendition of the Cavatina from The Barber of Seville. She soon became an international success, performing in many European cities, including Berlin, Budapest, and Vienna, as well as London with the London Symphony Orchestra at Queen’s Hall. Florence wrote in an “I Remember Mankato” article for the Mankato Free Press in 1952: “The Hague was not my first public appearance. 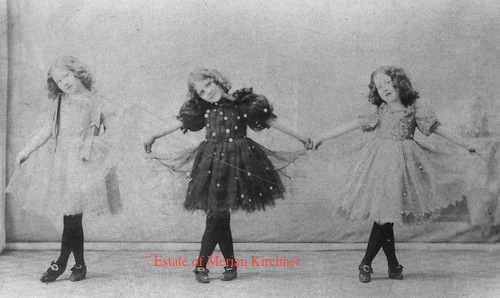 I have a picture of Eleanor Wood Lippert, Kathleen Hart Foster and myself, each done up in crinoline and spangles. As I recall this was a performance put on by Mother Pat (Mrs. H. A. Patterson) who did so much for music in Mankato. What roles the three of us played I cannot remember, but we look very elegant in our spangles.” Of course, Kathleen Hart Foster was Maud’s older sister who was depicted as the character of Julia Ray in the Betsy-Tacy books and Eleanor Wood Lippert was the character of Dorothy Drew. Florence made her debut in America as the Prima Donna Coloratura soprano with the Chicago Opera Company. As busy as she was, she always found time to come back to her hometown of Mankato and sing with the Orpheus Club, Mrs. Patterson’s chorus and even the Elks Club Band. Newspaper headlines referred to her as “Mankato’s Song Bird” or “Minnesota’s Nightingale”. In 1922 Florence married Captain Edward Whitwell of the Royal Air Force. A throat infection forced her to leave the stage for a year in the 1930s, and when she recovered the Chicago Opera had gone bankrupt. She sang with other opera companies including the St. Louis Opera. In 1936 she spent time in Mankato during her mother’s illness and funeral. Florence returned to New York to find her husband had suffered a stroke and needed constant care. They moved to California, where he died in 1942. The couple had no children. Florence stayed in California and taught piano and voice. She met novelist, James M. Cain, a devoted fan and author of The Postman Always Rings Twice, at a tea party and they were married in October 1947. The couple later moved to Hyattsville, Maryland. Florence began having health problems that kept her homebound for nearly 15 years before her death on May 5, 1966. She is buried in the Macbeth family plot in Glenwood Cemetery in Mankato. “It is all home, the place where I was born, where I dreamed dreams that came true, and where, when my time comes to pass, I shall come to sleep near dear ones and dear friends, and that is a serene comfort,” wrote Florence Macbeth in 1952. Today America celebrates the 150th anniversary of President Abraham Lincoln’s famous Gettysburg Address, delivered on November 19, 1863 at the dedication of the Soldiers’ National Cemetery in Gettysburg, Pennsylvania just four months after the Battle of Gettysburg. One hundred and fifty years ago, Thomas Walden Hart was born at Decorah, Iowa, on the day of Lincoln’s memorable speech. He was the son of James A. and Arosamond Hart and grew up in a large family, with nine brothers and sisters. His father was a farmer and his mother a teacher who came to Iowa from Canada. Tom’s mother impressed upon her children the importance of education, and there were always books in their little farmhouse. Tom came to Mankato in 1883 and worked at various jobs, including as a salesman for nursery stock, supplying seedling trees to homesteaders across western Minnesota and South Dakota. Eventually he went into the grocery business with A.H. Beebe, who had a store at 510 South Front Street. Tom met Stella Palmer through her brother, Frank, who had been Tom’s roommate. Stella was living in Mankato while she was studying at the Normal School to become a teacher. The daughter of Solomon and Albertine Palmer, she was born August 21, 1866, in Indiana. Her family had moved to Winnebago, Minnesota, where her father, a Civil War veteran, died when she was a young girl. Her mother later married Chauncey Austin, and the family moved to Madison Lake, where Tom and Stella were married October 15, 1887. Tom left the grocery business in 1888 when he joined the business of his father-in-law at C.H. Austin & Son. He worked as a traveling salesman selling shoes until establishing his own shoe store in 1894. In the fall of 1904 Tom made a successful run for Blue Earth County treasurer. Wanting to devote his energy to public service, he sold his shoe store to Lee Wood and Warner Baker. 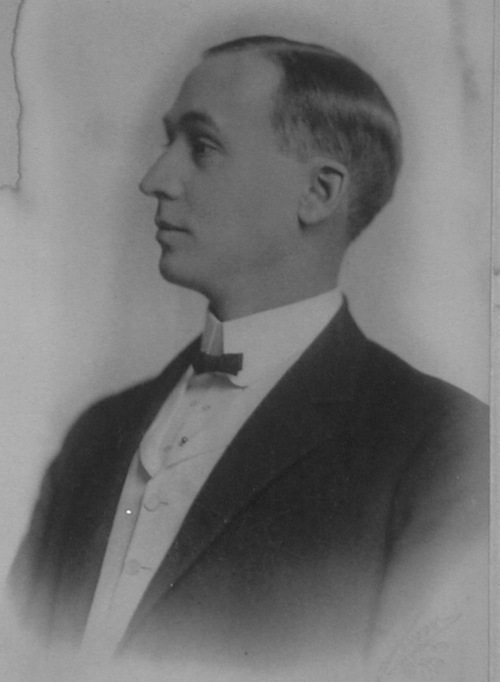 He served as county treasurer from 1905-1910, but lost the election in November 1910. Tom was active in other civic affairs including president of the Street Fair Association in 1899, the committee for Mankato’s semi-centennial celebration in 1902, and as a member of the Knights of Pythias. Tom eventually decided to return to the wholesale shoe business, and the Harts moved to Minneapolis on March 29, 1911. Since Kathleen was teaching at the MacPhail School of Music in Minneapolis, Maud would be returning to the University of Minnesota, and Helen hadn’t started high school yet, a move at that time was appropriate. Tom got a job representing the Foot-Schultz Company of St. Paul and later worked as a traveling representative for Jacobs and Company of New York. His employee, Floyd Smith, did the driving because Tom never learned to do so. Tom Hart died at home on January 6, 1936 and was buried in Lakewood Cemetery in Minneapolis.